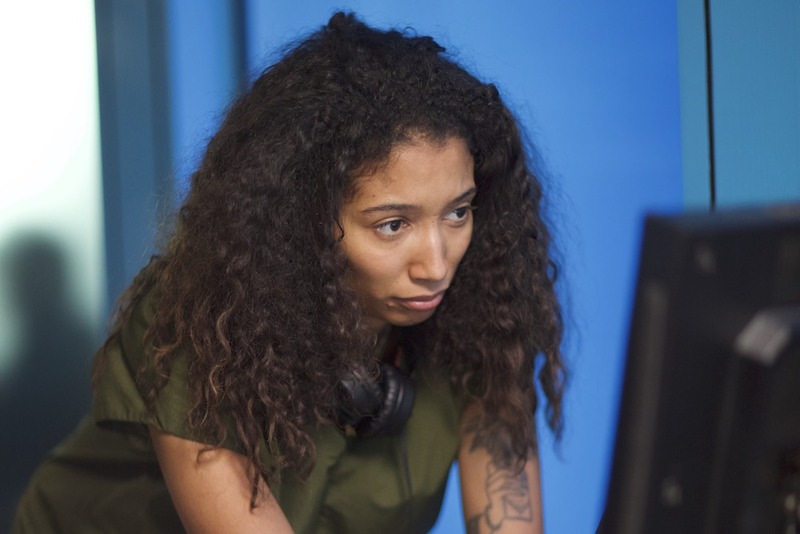 Unfortunately, the sad truth is that women in the U.S. are still paid 20% less than men – the numbers only get worse for women of color, with black and Latina women earning 38% and 46% less, respectively, than white men. In the new #IdRatherGetPaid campaign for Secret (who have taken the pledge to Free The Bid under P&G‘s global brand commitment) with agency Wieden+Kennedy, Somesuch director Raine Allen Miller helms a high energy song-and-dance number tackling the need for equal pay for women’s equal sweat and equal work. The song’s clever lyrics emphasize the need for businesses to move past displays of inspiration and empowerment towards tangible action. We’d ALL rather get paid! We spoke with Sara Saunders, Associate Brand Director at Secret; Darcie Burrell and Azsa West, Creative Directors at Wieden+Kennedy Portland; and the spot’s talented director, Raine Allen Miller, about the unique qualities that Raine brought to set; the workshops that Secret and Ladies Get Paid will be co-hosting at The Wing to help women self-advocate; and how cupcakes and tote bags are no substitute for equal wages. What prompted Secret to take on the gender pay gap? Secret has always championed feminine strength and given women the support they need to face stressful situations. We have seen that one of the most talked-about challenges facing women today is the wage gap: On average, women in the U.S. are paid 20% less than men, and this disparity is even greater for women of color; black women and Latinas are paid 38% and 46% less than white men, respectively. This difference in income adds up: the gender pay gap results in $513 billion in lost wages each year for women. After being inspired into action by these alarming stats, several months of extensive research and dozens of conversations with industry experts, we decided to set our efforts to focus on the gender wage gap as a critical issue, deserving the brand’s voice and platform to help enact change. We see this as another way we can help to support women through taxing situations. Tell us about Secret’s partnership with Ladies Get Paid, and the process of jointly crafting this music video to address the need for equal pay. Secret didn’t just want to join the conversation – we wanted to take necessary steps to help end pay disparity. So, to help women in their quests, we teamed up with Ladies Get Paid and The Wing to give women tools they can use to work toward pay equality. Women may visit LadiesGetPaid.com/Secret for access to a free toolkit from Secret, outlining strategies for salary negotiation and ways that organizations as a whole can advance change. Additionally, through December, Secret and Ladies Get Paid will host a series of workshops at The Wing locations across the country, where experts will share tips designed to help women better advocate for progress. One fun fact: Ladies Get Paid co-founders Claire Wasserman and Ashley Louise actually make an appearance in our “I’d Rather Get Paid” music video! Secret is pledged to Free The Bid, under Procter & Gamble’s brand pledge. How has the pledge affected commercial production so far, and what further progress are you looking forward to? 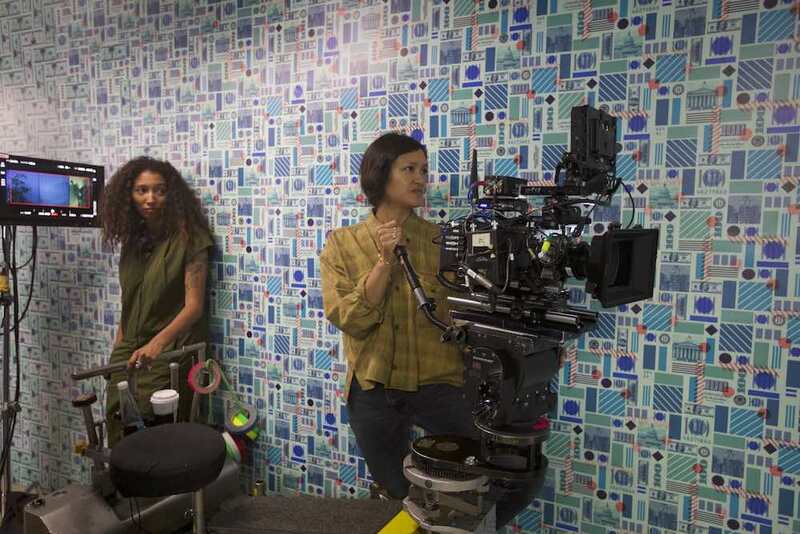 In an industry where women of color are often underrepresented and underpaid, “I’d Rather Get Paid” features Director Raine Allen-Miller, Director of Photography Autumn Durald and Rinny Perkins as the film’s lead – all women of color. Raine was phenomenal and took this to the next level. Further, our cast was 90% female. The brand will continue prioritizing female talent in Secret creative. How does the Free The Bid pledge play into Secret’s brand philosophy? For the past 60 years, Secret has been supporting women’s advancement by portraying confident, modern women in our creative and marketing campaigns. 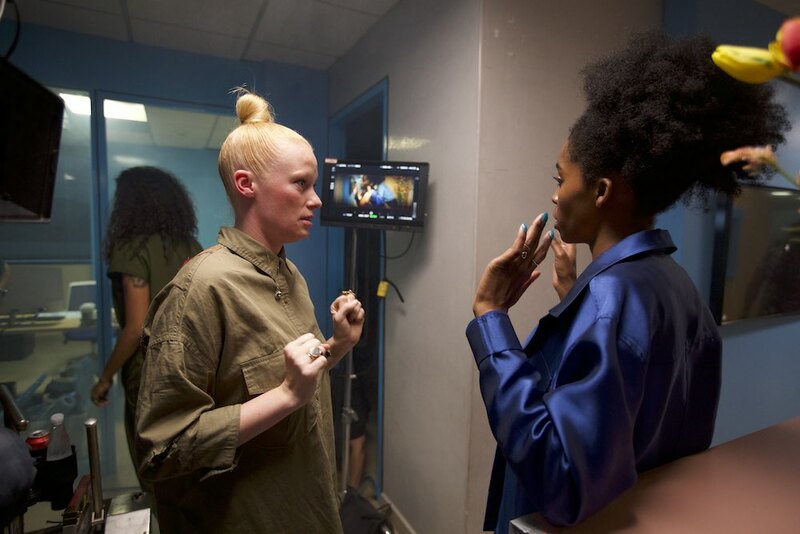 We believe that one of the best ways to ensure for prime representation of women in our creative is to have our talent captured by females who can relate to their power first-hand and showcase all they have to offer. Free The Bid’s pledge means that we will have a better chance of achieving this, and for that, we are grateful for their efforts. Can you tell us about the development of the #IdRatherGetPaid campaign with Secret, from the agency perspective? Since 1956, Secret has been supporting women. Secret invented the first deodorant for women at a time when women had to fight just to prove they sweat in the first place, and that they were different enough than men to deserve a product that was created just for them. As a brand, we think Secret has the power to be a platform that continues to champion women in any capacity. The wage gap is not a myth, and is just one of many things the brand can set out to tackle. It’s on the forefront of people’s minds in today’s world, so creating a campaign around the issue felt right. We also wanted to have a real message. We knew we didn’t want to make something that would bum women out, but we didn’t want to make light of the issue either. It’s a tough needle to thread, but I think Caitlin Alexander and Derek Szynal did such a good job of coming up with a message that really highlights the absurdity of the problem. Women ask for fair pay and they’re given . . . cupcakes on Women’s Day? A motivational tote bag? It’s all good stuff, but it’s no substitute for actually paying women what they’re worth. What led the decision to realize this project as a music video, specifically? To be honest, this project took on many forms before we landed here. Injecting the brand into the conversation around the wage gap is a very sensitive issue, so we tried to poke a lot of holes in the work before we arrived at a musical. After going through the motions of deeply exploring every possible avenue, the creatives returned to an idea they had early on. A lot of women’s brands tend to put forth work that feels very earnest and often paints the issues in a very serious light. Femvertising always seems to fall within two camps, as either being demeaning to women by continuing to talk down to them, or by overly heroing them in these ways that come off as inauthentic and sexist. You’d never see that in a men’s brand. Because we were tackling such a current and important topic like the wage gap, we felt it was imperative that it had an element of playfulness and a sense of humor attached to it. The goal is not to create division between men and women; it’s to bring us all together to help level the playing field. We wanted this work to put a smile on everyone’s face, no matter who they are, so that they feel empowered to do something in support of equal pay. The song that underpins the spot is really clever and catchy! Who was responsible for writing the lyrics/music? Our awesome manbassador, Derek Szynal! This is probably one of our favorite facts about the making of this project—a dude wrote the song! Derek is a great example of a good male ally who gets it. He was one man out of like 100 women who worked on this project, and was just as passionate about the cause as any of us. The world could use about a billion more Dereks. Then after we finalized the script lyrically, Walker Music took it and ran with it. They made a version of this song in just about every genre you can imagine. Our art director Caitlin was actually singing the song in her sleep by the end of this project! Talk us through the selection of the spot’s cast – what prompted you to enlist each of the featured stars who made cameos? We always knew that we wanted to involve people from a culturally influential POV who had connections to the equal pay movement. We worked with DeVries Global, Secret’s PR agency, to identify the right women who are known in their communities for being vocal about equal pay and who would fit nicely into this world we had created with our director, Raine Allen-Miller. The lead singer and dancers are also a refreshingly diverse group. What was the thought process behind the casting for these cast members? We wanted the spot to reflect the world we live in, and because this song is about equal pay, we also wanted to feature the people who are impacted by this most in the film. Diversity is super important to us, but it needs to be conveyed in a way that feels authentic, not like ticking a box. How was Raine’s work discovered and selected for this particular job? Was Raine’s previous music video experience taken into account when looking for a director? We’ve always been huge fans of Raine’s personal work, as well as her ASOS ad. It was only a matter of time before we found the right thing to work on together, and this was that thing for sure. We typically pay closer attention to people’s personal work and use that as a good north star to judge. Raine really took on the project and gave it her all like we’ve never seen. She was such a rock star to work with, and she took our work to a new level. We couldn’t have done it without her! What unique qualities did Raine bring to set? How did her vision transform the project? Raine has a really unique background as a woman of color and as someone who started in the advertising industry. She’s had to work hard to be where she is and really prove herself to get here. Her voice is really unique, because of who she is and where she comes from. We think there is something really fresh in how that can translate into the work. All of the little details and characters you see throughout were dreamed up by Raine. It’s those details and nuances that set great work apart from good work. Raine works hard to get those things right, and that sort of work ethic and attention to detail is something Wieden+Kennedy deeply values. We’d love to work with her again! As the creative directors on this project, what aspects of the final product are you most excited about, now that your idea has been brought to life? Personally, as the creative directors on the project, we are excited about how smart and fun this piece of work is to watch. We also hope it acts as inspiration for women, and men, to get out there and make real change. The film gets you thinking, hopefully puts a smile on your face, and empowers you to stand up for what you believe in. Triple threat! RAINE ALLEN MILLER, Director, Somesuch & Co.
Tell us about the initial brief for the #IdRatherGetPaid spot – what excited you most about coming on board to work on this project? The brief came from W+K Portland. The creatives (Caitlin & Derek) had contacted me about a project before, which sadly fell through, but they liked my treatment and were keen to work together. I remember that we had creative chemistry on my first ever call with them. They are brilliant. This was the perfect brief: I stand for equality, I am an intersectional feminist, but I also want to laugh and I don’t take myself too seriously. This idea embodied the truth that while advertising is jumping on this feminism bandwagon, what we all need, really, is to survive. Feminist tees can only do so much, especially if you can’t afford them. 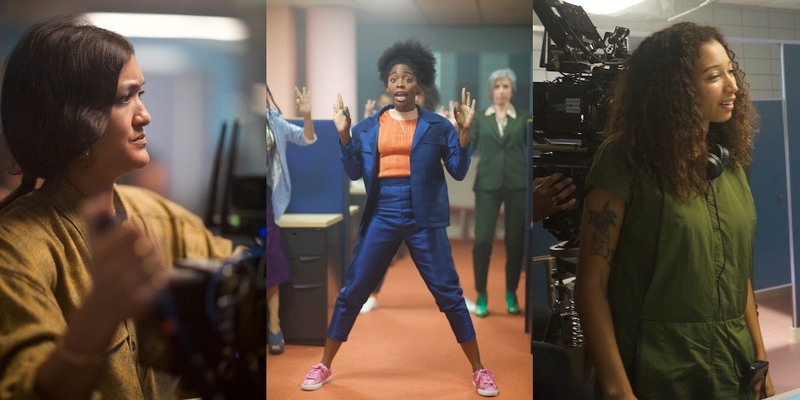 How does the spot’s core message, pressing for tangible action on gender pay equity, resonate with your personal beliefs and experiences in your directorial career? It resonates with me because I have struggled. 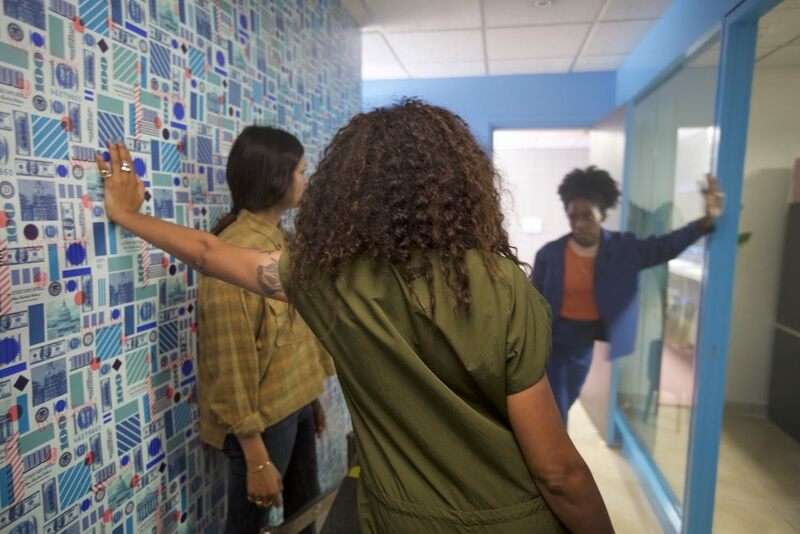 Not only does the ad talk about equal pay, but it talks about the little things that can grind you down – particularly as a woman of color who is not from a wealthy background. The lyrics in this are just true in a way that makes me get goosebumps. There are so many things that people are doing that are really great and empowering, but when you’re broke, you just want to eat and be warm. I have experienced being broke, being in a single-parent family, being the only black person in a meeting, and overhearing a white posh creative talk about having a council estate as a location because it’s cool and urban. The script really spoke to me because I believe in equality, yes, but it is also insightful and honest. At the moment, I am in a position where I don’t think I would be paid less than a male director. One, because I usually work with decent people who wouldn’t let that happen and two, there is no way that Somesuch would let that happen.. This film involved tight choreography within fairly tight spaces – did this pose a directorial challenge for you? Haha! I gave myself that challenge. I love corridors. I loved the idea of making Rinny [the spot’s lead] use the office in a way it had never been used. It kind of needed to feel a bit restrictive – offices aren’t usually dance friendly, so we had to stay true to the story and keep it basic AF! I also worked with a brilliant choreographer (Denna Thomson), who also likes to be challenged and made it work with the space. This isn’t your first time directing dance-based work. What excites you most about projects that involve choreography? I really like people moving their bodies in a way that feels completely carefree. It’s liberating. I think any kind of work I do, the dancing will be choreographed in a way that feels like a story, like it’s part of the character. Human choreography with imperfections. Tell us about the energy on set – what were the highlights of working with a Free The Bid pledged brand and agency? To be honest, it was completely irrelevant, as it should be. I worked with an AMAZING team of people and some of them happened to have vaginas. It was the best energy. I loved every moment of it, even when I almost fainted because I was too excited to eat (I find it hard to eat on shoots.) Everyone loved the idea and we all worked really hard to make it as amazing as we possibly could – vaginas and willies alike. We had a really good mix of people on set, and it didn’t feel like it was box ticking. There were just really talented people everywhere, and it was bloody brilliant! 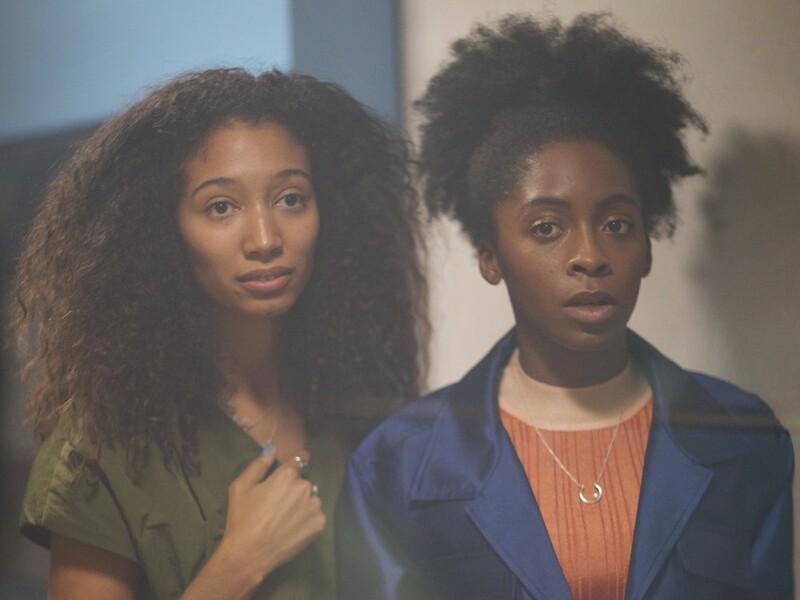 It’s exciting for us to see talented young women directors like you getting the opportunity to work on big projects like this – what’s next for you? What kind of stories do you hope to get the chance to tell onscreen in the future? I have two things I like to see in commercials. Weird and funny: work that makes me laugh or just weirds me out. Every old ad geezer references Tango ads; so do I, because they make you laugh and they’re weird and engaging. I wanna make weird, engaging, funny stuff. I miss weird, funny stuff – come back!? Important, relevant: ok, so ads are selling stuff, fine, but they also have the media budget to spread their message everywhere. If a brand is using that money to spread a message that actually makes people think? I’m into that. I think sometimes us creative types forget that a lot of the world is still pretty behind. I grew up in that world, and I want to speak to the people that don’t have access to the resources that I (now) do. Progressive art isn’t accessible, progressive advertising is. Any ad I do needs to be one of those two things. I am also working on a screenplay and an arty film with my dad that we hope to exhibit next year.